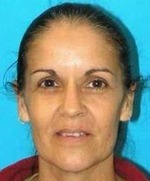 Big Island police are searching for a 49-year-old North Hilo woman who was reported missing. Tina Johansen of Kapehu Mauka was last seen early Monday morning (April 18). She is described as Caucasian, 5-foot-1, 110 to 120 pounds with brown eyes and brown shoulder-length hair that’s usually worn pulled back. She was last seen wearing blue jeans. She may be in possession of a dark blue blanket. Police are concerned that she may be disoriented. Police ask that anyone with information on her whereabouts call Detective Ernest Matsumoto Jr. at 961-2379 the Police Department’s non-emergency line at 935-3311.